Happiness now comes with a crispy twist. 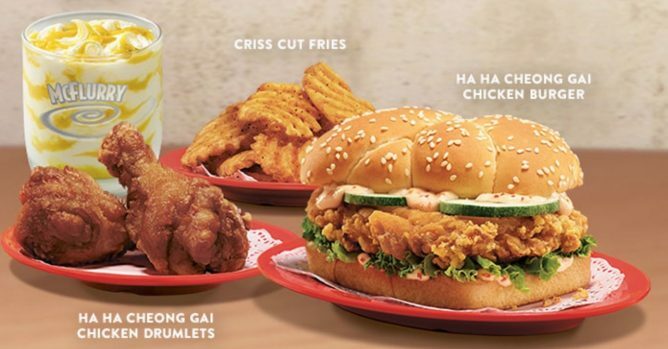 Enjoy the familiar taste of prawn paste in a whole new creation with the new Ha Ha Cheong Gai Chicken Burger at McDonald's! It’s a truly tasty way to celebrate a local flavour we love! Also available in chicken drumlets. Available from 12 July, order in-store or via McDelivery® and GrabFood. Hey curry sauce fans! 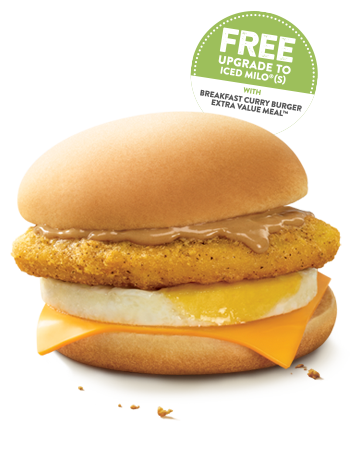 Enjoy the perfect start to your day with the all-new chicken Breakfast Curry Burger. Now available during breakfast hours with McDonald’s® Grab & Go. A perfect marriage of flavours from the land and the sea. This scrumptious new creation stars a juicy chicken thigh marinated in prawn paste, paired with a prawn-flavoured mayonnaise that will bring joy with every bite. 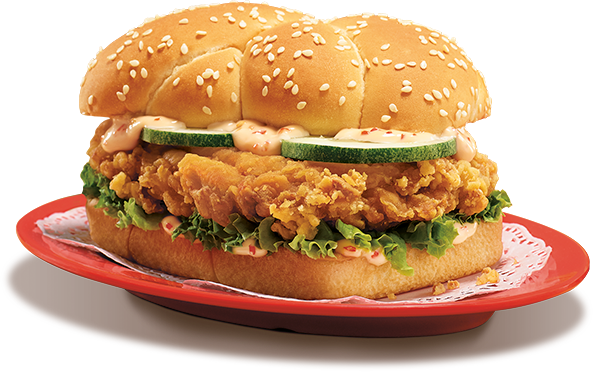 Allergen information: Ha Ha Cheong Gai Chicken Burger contains egg, fish, shellfish, soybean and wheat. 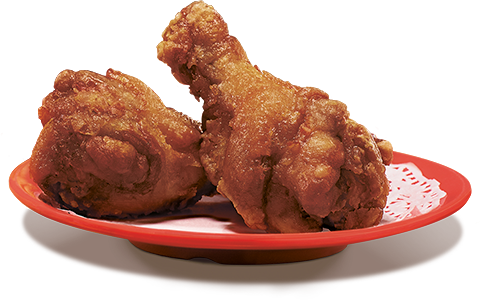 Bursting with the familiar aroma of prawn paste, these tender yet juicy chicken drumlets will remind you why it’s a classic taste that’s ever-popular with Singaporeans. Allergen information: Ha Ha Cheong Gai Chicken Drumlets contain egg, fish, milk, shellfish, soybean and wheat. Add on a crispy companion to your local favourites. These seasoned criss cut slices are so easy to love, you simply can’t stop at one. 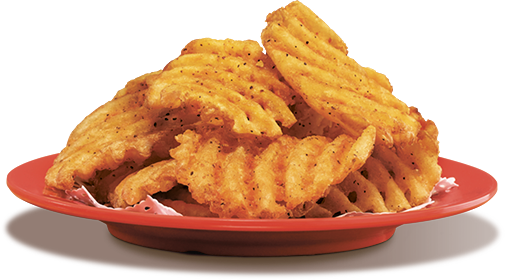 Allergen information: Criss Cut Fries contain wheat. You love it with nuggets and fries. Now enjoy your favourite curry in a burger. Start the day great with our classic curry sauce on a tender chicken patty, complete with melted cheese and a sunny-side up egg. Allergen information: Breakfast Curry Burger contains wheat, gluten, eggs, milk and soybeans. Previous: Ya Kun Kaya Toast: Enjoy a Cup of Coffee at only 50 Cents with Ya Kun Cherish App!